Obituary for Wilbur L. Rockwood, Sr. | Compassionate Funeral Care Inc.
GLENS FALLS – Wilbur L. Rockwood Sr., age 74, passed away on Thursday, November 22, 2018 at the Pines of Glens Falls. He was born on August 26, 1944 in Hinesburg, VT, the son of the late Lyle Rockwood and Margaret Irish Rockwood Atherton. Wilbur left school at a young age to help provide for his family. He was a laborer at R&M Bakery, and then went on to be a sanitation truck driver for over 40 years. 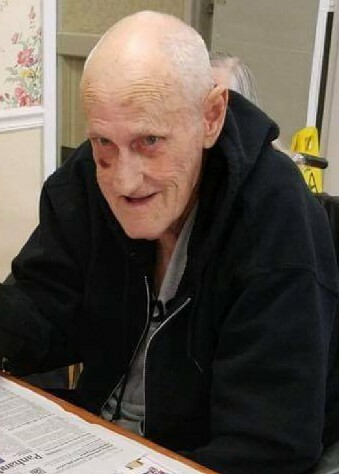 He enjoyed in his younger years racing cars, going to the speedways on the weekends watching NASCAR and wrestling, he enjoyed cooking spending time with his family, He was a collector of many things, and he enjoyed making and watching home movies of his family. Wilbur had a great sense of humor, and was always willing to help anyone if he could. He is survived by his sisters, Charlene Biggie of Springfield Mass, Elaine Norton (Nelson) Galway NY; one brother, Norman Atherton of N.H; daughters, Arlene Hall (James) of Saratoga Springs, Bobbiann Rockwood of Saratoga Springs, Maria Benedict (Brad) of Valentine NE, Wendy Conniff (Raymond) of Saratoga Springs; sons, Wilbur Rockwood Jr. (Beth) of Hudson Falls and Joseph Rockwood (Gerri) of Hudson Falls; several grandchildren, two great-grandchildren, several nieces, nephews, cousins and friends who will miss her dearly. A funeral service will be held at 1:30 pm on Thursday, November 29, 2018 at Compassionate Funeral Care, 402 Maple Ave. (Rte 9 and/or Marion Ave.), Saratoga Springs, NY. Family and friends can call from 12:30 to 1:30 prior to the service at the funeral home. Family and friends are welcome to join the family for further fellow ship at Knights of Columbus, 50 Pine Rd, Saratoga Springs, NY 12866 following the service.